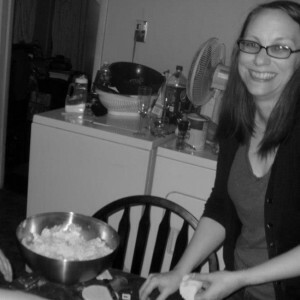 We usually enjoy pierogies, corn, green beans, ham and/or kielbasa every Easter (as well as “Star Wars” marathons.) This time we substituted the galette for the pierogies. The ham recipe is pretty basic, though time-consuming. Cooking can take anywhere from a half hour to an hour. Letting the ham sit for 30 minutes before serving may seem excessive (and a bit maddening), but it’s totally worth the wait. The juices absorb back into the meat and make it soooo flavorful. So be patient! I know it smells crazy good, but you can do it. I’ve seen the advice to “Let meat sit for at least 20 minutes before serving,” on so many cooking shows, but I never heeded it. With age comes a tiny bit of wisdom. It really makes all the difference in the world. Cola can also be substituted for root beer if you want a slightly less sugary glaze. Many similar recipes include 2 tablespoons of mustard, but I really hate the taste of it, so I skip it. You may like it. I don’t judge. 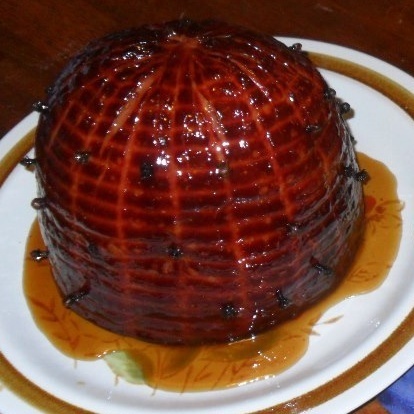 I considered arranging the cloves to make the ham look like Pinhead from “Hellraiser,” but the good former Catholic in me steadied my hand…but the next non-Christian holiday, look out! Push cloves into criss crosses in any pattern you like. Add the root beer, covering the bottom of the pan by ¼ inch. Pat ½ cup brown sugar all over the ham. Tent ham with foil and put in the oven. Combine all the other ingredients in a saucepan with remaining brown sugar. Bring the mixture to a boil, then lower to a simmer, and cook until reduced to about one cup. Strain. Remove foil from ham. Spoon some of the glaze over the top of the ham. 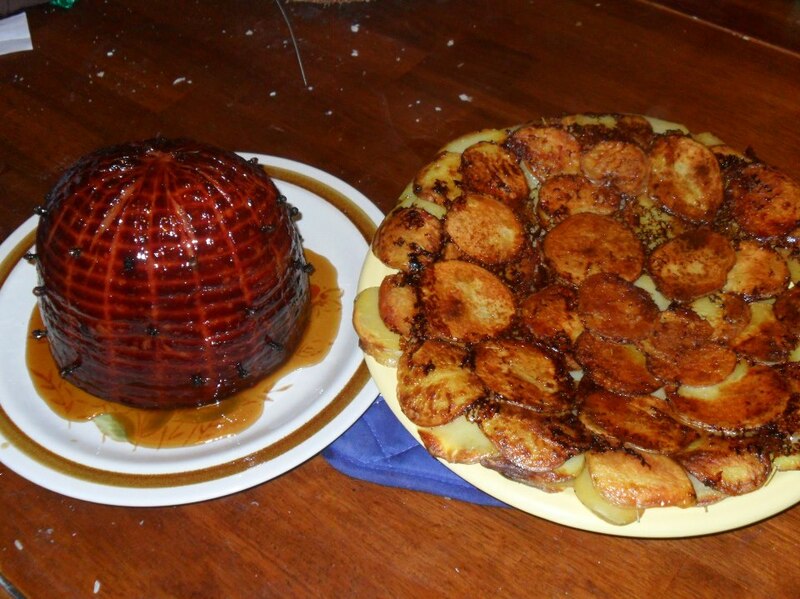 Continue baking until the ham reaches an internal temperature of 160-degrees on a meat thermometer. Spoon more glaze, at 15-minute intervals, until it is all gone. Remove from oven and allow to rest from 30 minutes before carving.